Identification of the pertinent scales at which to measure various ecosystem processes, along with the recognition of possible emergent properties, are challenges that ecolo-gists have faced over the last 20 years, often using the conceptual bases provided by hierarchy theory (Allen & Starr 1982; Meentemeyer & Box 1987; May 1989; Lavelle et al. 1993) and, more recently, landscape ecology (Urban et al. 1987; Bissonette 1997). Ecosystem services are provided across a wide range of scales and each, in turn, may stem from biota and processes that range widely in time (months, decades, centuries) or space (local, landscape, global). The relevance of spatial scale becomes clear when we contemplate the management of ecosystems and their inherent natural biodiversity to ensure the sustainability of services under future stressors or perturbations (e.g., disease outbreaks, droughts, invasive species). Perturbations affect a range of scales; the vulnerability of each of the ecosystem services driven by biodiversity is also likely to vary, depending on the spatial scale of the perturbation and the scale on which the process or service is regulated. The degree to which biodiversity influences the resistance and resilience of ecosystem functions or processes and hence the delivery of ecological services is important in this context. We ask if this is also scale dependent. This chapter has enormously benefited from comments and inputs by Armand Chauvel, John Mensey, Florence Dubs, Sebastien Barot, and an anonymous referee. As an example, in terrestrial agroecosystems, the major ecosystem service of food production occurs in crop units ranging from small plots through hectares to hundreds of kilometers. However, the heterogeneity of landscape mosaics formed by different crops, with their attendant rotation in time, is arguably the essential determinant of overall system performance. Ecological processes that underpin this production operate at a great variety of scales: from micrometers or millimeters for many basic microbial processes to meters or hundreds of meters in relation to physical soil and sediment parameters (aggregation, water infiltration), and at much larger scales if soil types or topography are concerned (see van der Putten et al., Chapter 2). Assemblages of species involved in key processes are variously distributed over these scales and their ranges of movement and dispersal vary, individually, over several orders of magnitude. Consequently, perturbations, such as local disease or pest outbreaks, overgrazing, larger-scale weather anomalies such as drought or severe winters, and longer-term climate change can have impacts across the agroecosystem, but these impacts will vary in effect depending on the magnitude, spatial extent, duration, and return rate of the perturbation. Resistance and resilience of services to press or pulse disturbances, and thus their overall vulnerability, may very much depend on the scales at which they are regulated and the scales at which the perturbations act. In many instances, management interventions will be more efficient if they operate at the scale of underlying processes rather than the scale of the service delivery. Soils and sediments provide a range of unique ecosystem services such as nutrient cycling, carbon sequestration, and detoxification (see Wall et al., Chapter 1). These services directly or indirectly support many aboveground (or above-sediment) provisioning and cultural services (Millennium Ecosystem Assessment 2003; see also Part I, this volume). Soils and sediments are highly constraining environments where diffuse or selective mutualisms among organisms create self-organizing systems (sensu Perry 1995). Self-organization is inherent in soils and sediments at scales from microaggregates, created by microorganisms, to macroaggregates and the functional domains of the ecosystem engineers (Lavelle 1997); from vertical stratification profiles to soil and sediment catenas along slopes and to larger features observed at the landscape/seascape level. A unique feature of soil and sediment systems is the range of biological activities (e.g., burrowing, tube construction, substratum translocation, and feeding processes), that sculpt and mold the substratum, generating its fine structure and heterogeneity. The diversity of ecosystem engineers is key, producing a greater variety of biogenic structures (e.g., termite mounds and galleries, earthworm casts, and burrows in soils; tubes, surface deposits, and stable aggregates; cf. ray and whale pits made by bioturbators in aquatic environments). Specific interactions among their populations are thus essential to the shaping of the aggregate and pore structure of the soil and sediment substrata. Structure, in turn, determines the ability of the substratum to accommodate and sustain microorganisms that perform specific chemical transformations, and to support other functions and processes. In soils, for example, the combined activities of "com pacting" and "decompacting" invertebrates maintain macroaggregate structures, which then optimize water infiltration and retention, and limit erosion risks while sequestering carbon for both short- and long-term pools (Blanchart et al. 1999; Chauvel et al. 1999). Biogenic structures may last much longer than the ecosystem engineers that created them, especially in soils and immobile sediments. The effects of this "biological legacy" are therefore an important component of the dynamics of the engineer populations in time and space (Perry 1995). Most management practices ignore this complexity, and by reducing biodiversity, they reduce the overall intensity of the processes mediated by biota. Managers may not recognize this cause for deterioration in the genesis of ecosystem services, since the vulnerability of ecosystems is mostly considered at the larger scale of the service delivery. For example, in the case of carbon sequestration: what happens at the scale of a cultivated field or the pelagic zone may be expressed at the scale of a watershed or a bay. To maximize our utilization of services as well as their management, assessment, and possible restoration, it is therefore essential to identify the spatial and temporal scales at which assemblages of species interact, the scales of the processes that they drive, and the resulting scales at which the various ecosystem services are delivered. It is equally important to assess the vulnerability of biodiversity and services to perturbations at all the relevant scales and the role of species/functional group richness in mediating this vulnerability. In this chapter, we analyze the scales at which services are delivered and compare them with the scales at which the ecosystem processes operate. We suggest that the greater the difference in scale between the two, the less vulnerable the service. We then consider the relationship between vulnerability and biodiversity by detailing the functional groups and biological traits that are essential to the performance of the services (effect traits) and/or that allow species to resist disturbances (response traits). The major effect and response traits responsible for the maintenance of diversity are considered. We also propose an approach to the management of biodiversity to prevent vulnerability of ecosystem services. The way we look at the habitat and the ecosystem, from the size of our sampling unit to the frequency of our observations, will influence how we identify biological responses to the environment, how we perceive the various patterns in biotic and abiotic factors, and the processes we decide are critically important in the functioning of ecosystems (Giller & Malmqvist 1998). Organizational levels in ecosystems may often be defined by a biological component, that is, the species assemblages and their complexity, and by a physical entity, that is, the structures that organisms construct and/or inhabit. Eight generalized levels can be distinguished across soil and aquatic sediment environments (see Figures 8.1a, b, and c), spanning approximately 16 orders of mag nitude. At the smallest scale are assemblages of microorganisms, for example, in a microaggregate of mineral and organic material, in a micropore, or as a biofilm on a particle of substratum. Such assemblages may mediate a single fundamental process, such as carbon mineralization or nitrogen transformation. At the next level of the hierarchy are micropredators such as nematodes, which move between the consortia of microbes regulating their numbers and growth with varying degrees of feeding specialization (micro-food webs or microbial loops). At the third scale, a group of larger organisms— mainly plants (through their roots) and larger invertebrate animals—are responsible either for maintaining the physical heterogeneity of the substratum, especially mediating the mixing and re-mixing of organic and mineral material in the role of ecosystem engineers, or for fragmenting and transforming organic detritus in the role of litter transformers. These organisms, together with microorganisms, are seen as functional units in the sense that no ecosystem processes can occur unless these units are intact. In soil systems, the individual functional units are sometimes dominated by one type of ecosystem engineer, each engineer therefore dominating its own functional domain (Lavelle 2002). Adjacent or intersecting domains make a characteristic patch or sum of patches, and these assemble to constitute a habitat. In aquatic systems, the patches tend to be more controlled by physical structures (e.g., substratum types or flow conditions) or by biotic components (e.g., macrophyte/algal stands or aggregations of sedentary or burrowing animals, litter, or organic matter accumulations). At higher levels, mosaics of functional domains and/or patches constitute habitats where the communities reside. Communities and their abiotic environment constitute an ecosystem. Mosaics (or continua) of ecosystems form the large-scale elements of ecological organization, such as catchments, landscapes, and river basins. Regions and continents, and, in the marine realm, oceans, constitute the largest spatial scales. Clearly, total biodiversity will increase with spatial scale, as will the range of ecosystem functions and ecological services that operate, as the lower scales are nested within the larger ones. 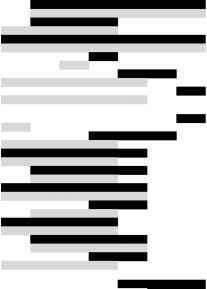 Some processes and functions are evident only at certain spatial and temporal scales, thus one cannot predict these functions and services at larger scales simply by summing those at smaller scales. There is evidence that biodiversity has a significant influence on the level and rates of ecosystem functioning and hence ecological services. Biodiversity within a single habitat patch or habitat is limited by a range of factors such as space, history of perturbations, biogeography, resource levels, and so on. Also it is evident that larger-scale species pools can influence local-scale diversity (see below). A new challenge for ecologists and managers is to understand how, as we increase spatial extent, the biodiversity of one habitat patch or habitat may influence the biodiversity and ecological functioning of adjacent patches or habitats (Giller et al. 2004). Temporal scales reflect the rate of processes that occur across the different spatial scales (ranging from the physical and biological to the geological and evolutionary) as well as the generation time of the organisms that drive the processes. The duration and return rate of perturbations that act across the spatial gradient are also relevant. In fresh water systems, for example, small-scale surges of water flow occur at the patch level, with spates at the reach (ecosystem) level, and floods and droughts at the catchment (landscape) level and river basin scale (varying in magnitude as larger perturbations become more likely across longer time scales). Large-scale climatic events operate at the regional level. Because of the particular characteristics of the different domains, the precise spatial and temporal scales involved will differ (see Figures 8.1a, b, and c). This general scheme allows us to examine the links between scale, biodiversity, and the vulnerability of ecosystem services in all domains. The smallest habitat in soils is represented by assemblages of mineral and organic particles approximately 20 micrometers in size, called aggregates (Figure 8.1a, level 1). Microorganisms may live inside (e.g., in micropores filled with water) or outside these constructions, which in turn determines their access to resources and exposure to predators (Hattori & Hattori 1993) and inclusion in micro-food webs (level 2; Lavelle & Spain 2001). At the scale of centimeters to decimeters, ecosystem engineers (functional group including plant roots) and abiotic factors determine the architecture of soils through the accumulation of aggregates and pores of different sizes. These spheres of influence, or functional domains (level 3), extend horizontally over areas ranging from decimeters (e.g., the rhizosphere of a grass tussock) to 20-30 m (drilosphere of a given earthworm species) or more, and from a few centimeters up to a few meters in depth, depending on the organism. Functional domains are distributed in patches that may have discrete or nested distributions and form a mosaic of patches (level 4). At the landscape level, different ecosystems coexist in a mosaic with clearly defined patterns (level 5). The pattern observed in the mosaic may result from natural variations in the environment and/or human land management. Soil formation processes, for example, are very sensitive to topography, which generates formation of catenas of soils from upper to lower lying areas (level 6). Significant differences in soil type at this scale often determine different vegetation types and the formation of a mosaic of ecosystems. In savanna regions of Africa, plateaus that have a thick soil and a gravel horizon are often covered with open woodland. Slopes that have more shallow soils have fewer trees; low-lying areas have fine-textured soils resulting from the transport and accumulation of fine elements from the upper-lying areas. There are also moister environments where vegetation is comprised of grasses and other herbaceous components. In riparian zones of river catchments, gallery forests may utilize constant water availability from a water table located close to the surface (Brabant 1991). Figure 8.1a. Comparative spatial and temporal scales of biological and physical environments in soils. Levels 1—8 indicate increasing changes in the influence of biota and habitat. mino-silicate parent material into a 1 m thick soil, but it takes half that time to develop carbonate-rich material (Chesworth 1992). Most soils in northern Europe and America that formed after the retreat of glaciers 20,000 years ago still have properties of relatively young soils, as compared with soils from Australia or some parts of Africa that began forming millions of years ago (level 8; Fyfe et al. 1983). (roots and soil invertebrates), through their bioturbation activities, stimulate microbial activities in their functional domains by a "sleeping beauty" effect (Lavelle et al. 1995) at scales of time and space of centimeters to meters over weeks to months. Interactions among micro- and macroorganisms largely depend on the quality of the organic matter produced. Low-quality organic residues, with a high content of phenolics and tannins and a low content of sugars and nutrients that can be assimilated, require more specific and efficient interactions among the biota. Thus, when litter quality is poor, macroinvertebrate activities may be greatly depressed. Coniferous or eucalyptus litters are examples of low-quality litter that result in this effect. Their decomposition is slow because only a few microbial functional groups digest the tannin-protein complexes that represent 85 percent of the nitrogen in the decomposing litter. 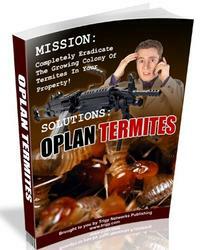 Additionally, efficient stimulators such as earthworms or termites are mostly absent. At higher scales of time and space, the qualities of soil and climate are the ultimate regulators of all biological activities and hence decomposition. The natural content of bedrock (nutrients and clay forming elements) determines the nutrient base and the nutrient-holding quality of clay minerals. Clay minerals provide microorganisms with numerous microhabitats, which afford suitable moisture conditions and protection from predators; however, they form barriers between microbes and organic substrates and the specific rate of microbial activity (CO2 evolved per unit of microbial biomass) is decreased in clay compared with sandy soils (Lavelle & Spain 2001). Climate ultimately regulates biological activities through temperature and moisture conditions, at a wide range of temporal and spatial scales up to centuries and thousands to millions of kilometers, respectively. Figure 8.1b. Comparative spatial and temporal scales of biological and physical environments in freshwater sediments. the surrounding landscape in their catchments (level 6), and whole lakes and marshes lie within the same kind of spatial and temporal scales. Lake and river chains form entire river basins (levels 7 and 8) that operate over the landscape scale and have a long geological history stretching over hundreds of thousands to millions of years. Thus, as Ward (1989) has suggested, the hierarchy of scales involved in the ecology of streams and rivers operates over four dimensions (vertical, lateral, and longitudinal spatial dimensions, and across time). One of the most important features of this hierarchy of scales in freshwater systems is that as the spatial scale increases, the hierarchy rapidly transcends to the surrounding landscape and into groundwaters such that, in effect, at these larger spatial scales, the freshwater domain merges with the terrestrial and becomes a composite landscape ecology (Hildrew & Giller 1994). The links between freshwater systems and the surrounding landscape ensure a continuous exchange of materials, energy, and organisms (the imports and exports) between the land and the aquatic systems. Lateral exchanges and upstream-downstream linkages are thus a major feature of freshwater sediment systems (i.e., they are extremely open systems in comparison with those of terrestrial soils). The large range of food resources available to freshwater benthic systems, from in situ primary production (algae and macrophytes) to organic matter produced upstream, and from the surrounding riparian zones (providing energy subsidies to the system) to other animals, has led to the evolution of a range of characteristic functional feeding groups in freshwater systems (see Giller & Malmqvist 1998 for an overview). Groups such as ecosystem engineers are common and range in scale from microengineers, such as microbes creating biofilms, to macroengineers, such as beavers influencing the structure and water flow of large river reaches. Together these assemblages of functional groups form communities that change from one habitat and ecosystem to another. 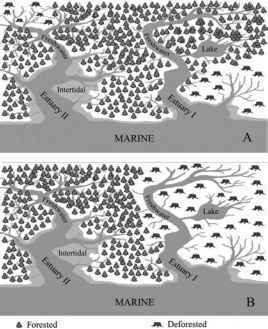 Because of the openness of freshwater systems, food webs extend over a large range of spatial scales. Freshwater systems are interesting in that, just as in soil systems, they seem to be hierarchically organized, such that the higher-scale systems impose constraints on many features of the lower scales (Frissell et al. 1986; Hildrew & Giller 1994). An example from Giller and Malmqvist (1998) illustrates this point. On a single stone, algal distribution is generally controlled by local flow and hydraulic forces, whereas in a given patch, algal biomass and species composition might be nutrient limited. Over larger stream reaches, zones of high nutrient supply can encourage algal production, allowing control to shift to grazing invertebrates or even fish, but where water chemistry controls grazers, then stream flow and substratum area are dominant. Extending the time frame, the biomass of algae in stream reaches may become determined by flood disturbance regimes and shading from riparian vegetation. Deforestation in the catchment (influencing shading, stream morphology, nutrient dynamics, and flow regimes) will influence algal dynamics, but on a very different (ecosystem) scale from the effect of grazing invertebrates. Yet such large-scale impacts in the catchment will also have implications at the small-scale level of grazer-plant interactions too, underlining the hierarchical relationships. Hierarchical organization may extend to the regulation of the diversity of benthic organisms. Landscape factors, including size of drainage area, surrounding vegetation, geology, soils, and gradient, together with local factors such as habitat heterogeneity, system morphology, substratum and flow, water chemistry, and biotic interactions, all influence species richness in freshwater systems. In a review of benthic insect diversity in streams, Vinson and Hawkins (1998) found that richness at one scale appeared to be directly proportional to richness at higher scales, governed largely by habitat heterogeneity. For three of the major benthic insect families (Ephemeroptera [mayflies], Ple-coptera [stoneflies], and Trichoptera [caddisflies]), richness at the local reach scale was 50 percent of the catchment richness, and catchment richness was 34 percent of regional richness. The regional species pool thus provides an upper theoretical limit on how many species could possibly colonize a single stream. In turn, this will limit the diversity within a reach or habitat patch (which is itself governed by local conditions). The provision of goods and services within marine systems is dependent on biodiversity at all spatial scales, as in soils and freshwater environments (Figure 8.1c). Microbial activities underpin all ecological processes, and these in turn are affected by organismal activity at higher trophic levels and at higher levels of ecosystem organization. Functions occurring at very small scales are therefore dependent on functions at larger scales and vice-versa. Top-down regulators, however, tend to be predominant drivers expressed at larger scales, and naturally constraining processes at smaller scales. This is a reflection of the comparative openness of marine systems and also of the heterogeneity imposed on marine sediments by biota at different spatial scales. At the smallest spatial scales of micrometers to millimeters (Figure 8.1c, level 1), microoganisms carry out the functions of decomposition, nutrient cycling, and primary production. At a slightly larger spatial scale of millimeters to centimeters, microorganisms are selectively preyed upon by meiofauna or indiscriminately consumed by selective and nonselective deposit meiofauna feeding on detritus (level 2). Microorganismal and meiofaunal biodiversity are affected by substratum properties, but these are in turn affected by physical regime. For example, coarser, well-oxygenated sediments are found in exposed high-energy environments such as wave-swept beaches and shallow coastal waters. At a scale of centimeters to hundreds of meters, larger organisms affect substratum properties (level 3). Substrata are affected at centimeter-to-meter patch sizes by individual bioturbating invertebrates (which are also usually deposit- and filter-feeding organisms), and at larger scales by groups of ecological engineers such as seagrass and mussel beds that create their own habitat. Meio-faunal diversity and community structure are also intimately connected with substratum properties and the alteration of substratum by macrofauna (Austen et al. 1998). Macrofaunal invertebrates alter substratum properties through the creation of pits, burrows, and tubes, which alter water flow at the sediment water interface, as well as through their physical movement within the sediment, and through pumping activities within tubes and burrows (level 4) (Snelgrove et al. 2000). Larger, mobile epiben-thic invertebrates (e.g., decapod crustaceans) and vertebrates (e.g., pit-forming rays and whales) also similarly affect substratum properties, but pits may extend across large spatial scales of hundreds of meters and the pits themselves can be large (Feder et al 1994; Hall 1994). These activities alter water flow and diffusion of oxygen and chemicals within the sediment, which affect microbial and meiofaunal biodiversity and their functioning, and hence indirectly affect ecosystem services. These larger organisms also affect nutrient fluxes and decomposition directly through deposit and filter feeding, and through bioturbation. Nutrient cycling underpins the pelagic food web, and therefore macrofaunal invertebrates as well as microorganisms and meiofauna are important in trophic support services at larger spatial scales within the overlying water column. Figure 8.1c. Comparative spatial and temporal scales of biological and physical environments in marine sediments. mosaic of overlapping patches within what would otherwise be a uniform habitat (level 5; Parry et al. 2002). At scales of tens to hundreds of kilometers in coastal and offshore waters, different sedimentary habitats (level 6) have developed due to hydrography (the physical features of bodies ofwater and their littoral land areas). Fauna within these habitats are, in turn, affected by depth and distance from the coast, and the habitats can then be considered as representing inshore and offshore ecosystems. Such ecosystems occur at smaller scales within estuaries and coastal bays. Within these systems, there is input and output of organic matter to and from adjacent systems, including overlying waters. These exchanges also influence smaller substratum-dwelling organisms; thus changes in substratum inputs and outputs over large scales influence ecosystem functioning even at the smallest scales. In reality, the openness of marine systems results in a continuum of ecosystems rather than discrete systems. At large spatial scales of meters to hundreds of kilometers, predation on macrofauna by epibenthic predators, such as crustaceans, fish, and whales, is an important component of the food web. At these scales, food provision is therefore also an important marine ecosystem service. Fishing for sediment-dwelling fauna such as shellfish and demersal fish occurs across habitats and biotopes and over spatial scales of tens to hundreds of kilometers (level 7; Jennings & Kaiser 1998; Thrush & Dayton 2002). At the largest spatial scales (level 8), benthic fauna underpin trophic support processes because of the planktonic stage in their life cycles. Vast numbers of planktonic larvae are dispersed over huge spatial scales, and these are an important component of the pelagic food web that ultimately also provides fish for human consumption. The broad-scale dispersal of macrofauna through coastal and oceanic currents also contributes to the openness of, and strong connectivity among, marine sedimentary ecosystems and habitats. Comparison of soil and aquatic domains shows that self-organizing systems regulate processes at different scales. These biological systems, however, operate at different scale ranges that increase from soils to freshwater and then from freshwater to marine ecosystems, with increasing attendant openness (connectivity). Although enclosed localized processes overlap in all three domains, marine ecosystems are much more spatially expansive than freshwater systems. 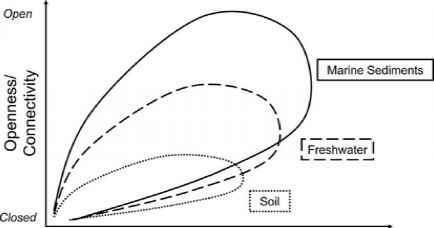 By contrast, soil ecosystems are far more closed, with processes mainly operating at local scales (Figure 8.2). The spatial scale over which ecosystem processes operate has major implications for management. In marine systems, localized management can work well for semi-enclosed ecosystems, such as lagoons or estuaries, but even these can depend on strong external linkages. Improvement of the sediment to enhance nursery ground stature for exploited fish species will work only if active spawning at a remote breeding site supplies juveniles. In contrast, soils can be manipulated at the field level or even, in traditional agrarian systems or under modern agri-environment scheme subsidies, at the level of strips within a field (e.g., establishment of species-rich headlands). For most fresh-waters, the close link with the surrounding catchment means that management often has to operate at the catchment or river basin scale (see Covich et al., Chapter 3; Giller et al., Chapter 6). Figure 8.2. Operational scales (abscissa) and degree of openness and connectivity (ordi-nates) of ecosystem processes delivering goods and services in soil and aquatic sediment environments. tems rarely recover through recruitment from unimpacted sites alone. The few examples of successful restoration or remediation in marine ecosystems come from enclosed systems in lagoons and estuaries, and usually involve a key habitat-creating feature. Similar considerations apply to freshwater systems. Although not as open as offshore water, impacted riverine systems can and do recover via recruitment from elsewhere (due to the unidirectional water flow). The short-lived flying stages of many of the aquatic insect taxa and upstream migration of aquatic stages can play a role similar to that of planktonic stages in marine life histories. Openness can, however, impede restoration attempts, as localized actions will be futile if source water is of poor quality or if disturbances in the surrounding catchment superimpose additional stresses. However, enclosed or semi-enclosed ecosystems, such as lakes, ponds, or canals, are very amenable to restoration, as a huge literature testifies (Bronmark & Hansson 1998; Giller et al., chapter 6). By contrast, recovery of degraded soils is a slow process. Although the vegetation and some associated higher trophic levels can be actively restored by basic horticultural or agricultural practice, the soil biota and the processes they control respond much more slowly. Even if source populations are available in the surrounding landscape, the dispersal capability of most components of the soil biota is low and the timescale for population increases is correspondingly long (Brown & Gange 1990). Thus, successful restoration attempts require some form of active management of the soil in addition to management of the vegetation. Recent work (Leps et al. 2001) has shown the potential of the inoculation of soil or turf from a donor plant community to facilitate the restoration of soil biodiversity and function in ex-arable land. Even so, the time-lag in restoring soil function remains a severe constraint. Implicit in soil restoration are the problems associated with residual soil nutrient levels from previous land use. Nutrient titers are notoriously slow to change, and can therefore act as a major inhibitor of improved soil quality and function. As the spatial scale of habitats increases, boundaries with other domains will ultimately be crossed. Examples include the transition from rivers through the riparian zone to the terrestrial landscape, and also downstream into the sea via estuaries. Thus, large-scale management must occur by manipulation of the landscape and the whole catchment (see Ineson et al., Chapter 9). A classic example is the use of afforestation as a filter along with the enhancement of other natural ecosystem services in managing the New York City watershed supply via upstream process delivering ecosystem goods (e.g., clean water; see Chapter 6). 1. Chemical pollutions are common disturbances resulting primarily from the use of pesticides in agriculture and heavy metal contaminations. These occur in all terrestrial ecosystems, and indirectly in aquatic systems via overland transport. Eutrophication is caused by excessive transfers of nutrients from terrestrial to aquatic ecosystems. These disturbances have direct impacts on organisms and their diversity, although they do not directly affect the physical structure of the system. 2. Physical disturbances are caused by tillage and erosion in terrestrial systems, and by deposition or removal of sediments in aquatic ecosystems. They result in the direct destruction of the niches of organisms at scales from microhabitats to habitats or ecosystems (levels 1 to 4, Figures 8.1a, b, and c). 3. Changes in landscapes or seascapes, due to usage intensification or changes in uses, affect soils and sediments at level 5 to 6 whereas global climate change affects the largest scales (7 and 8, Figures 8.1a, b, and c). The effects of physical disturbances and intensifications on biodiversity are both direct (removal of species and habitats) and indirect (changes in fitness leading to modifications of the area of distribution). Since disturbances may affect biodiversity at different scales, it is important to determine whether the scale at which they occur makes any difference to the resulting damage to ecosystem services, and then to identify the most appropriate scale for restoration efforts. Are Some Ecosystem Services More Sensitive Than Others to Disturbances? Most ecosystem services (Figures 8.3a, b, and c) may be considered as emergent properties of ecosystems that occur at the larger scales of ecosystems to landscapes/seascapes or regions. This is clearly the case, for example, for infiltration and storage of water by soils observed at the landscape level, for detoxification and decomposition in soils and sediments, and for floods and erosional events that occur at scales from the ecosystems to regional or global. On the other hand, mechanisms and processes operated by organisms and their diversity mostly occur at smaller scales, from microhabitat to habitat. We postulate that the vulnerability of ecosystem services is dependent on the range of scales at which a disturbance impacts soil and sediment biodiversity, and similarly, is dependent on the scales at which the key biological processes operate. Our rationale is that the greater the number of scales covered by each ecosystem service and the processes that deliver them (Figures 8.3a, b, and c), the greater the sum of buffering systems represented by the different self-organizing systems operating at each level. This principle may be expressed in a number of hypotheses that were identified from a detailed analysis of these relationships. 1. They are delivered at smaller scales—although resilience may also be higher in that case. This hypothesis assumes that services delivered over large scales are less likely to be severely impaired, as disturbances on a similar scale are necessary to weaken their provision. Most ecosystem services in freshwater systems (Figure 8.1b) actually operate at scales starting from 3 or 4, extending until 6 or 7, with the notable exception of nutrient cycling that operates across all levels, starting from level 1. 2. Ecosystem services are delivered at a limited range of scales and/or supported by ecological processes operating across a small number of scales. This hypothesis assumes that service delivery extended over a wide range of scales would provide increased buffers and enhance resistance and resilience of the provision. 3. Biological processes that support services operate at larger scales on average. This hypothesis assumes that if biological processes operate at small scales and the service is delivered at larger scales, disturbances in the biological components have a less immediate effect on services. This is due to the effects of biological activities, accumulated over long periods of time, which persist even after their production is interrupted with the disappearance of the organisms responsible. Figures 8.3a (soil, opposite top), 8.3b (freshwater sediments, opposite bottom), and 8.3c (marine sediments, above). Scales at which ecosystem services are provided (black) and scales of biological processes involved (gray). Vulnerability is all the more important as the scale at which ecosystem services are delivered is restricted to a small number of levels, and biological actors operate at similar or larger scales than the ones at which ecosystem services are delivered. delivered at much larger scales than the biological processes that operate them. These services are therefore likely to be less vulnerable than most other services, especially the habitat structure and aesthetic/recreation services that show an opposite trend. In soils, patterns observed (Figure 8.3a) are generally similar, although the scales involved for the provision of services and processes involved tend to be smaller, as predicted by considerations of the restricted openness of the domain (Figure 8.2). Once the relevant scales for services and the corresponding processes involved are identified, optimal interventions to sustain or enhance provision of the service and/or its dependent ecological processes can be devised, at appropriate levels. Figure 8.4. The "buffering" capacity of soils for disturbance: ecosystem services in soils are all the less vulnerable as they rely on processes operated at large scales (upper part of figure) by organisms acting at small scales (lower part of figure). This figure exemplifies the case of conservation of soil's physical structure created by the accumulation of pores and aggregates by organisms at smaller scales (smaller cogs on the lower left end), which give soils general properties (water infiltration and retention capacity) expressed at larger scales (larger cogs on the upper right end). aggregation and porosity may be maintained in soils for some time after the organisms that have generated these features have been eliminated, for example, by mismanagement (Blanchart et al. 1999; Martius et al. 2001; Sarmiento & Bottner 2002). This resistance supports the hypothesis that lowest vulnerabilities are expected in cases where ecosystem services are supported by small-scale processes and delivered at large scales. Opposite situations would, on the other hand, lead to maximum vulnerability. One example is soil aggregation, which is important for carbon sequestration and water infiltration, and results from accumulated activities, over long periods of time, of aggregate-forming invertebrates and roots, and the physical interactions among soil particles. The organisms operate at small spatial and temporal scales (Figure 8.1a, levels 1 — 3), whereas aggregates, once formed and stabilized, persist for long periods of time, depending on conditions (Blanchart et al. 1999). As a result, practices that eliminate soil ecosystem engineers may not result in an immediate impairment of soil conditions and resulting ecosystem services. Similarly, organic matter accumulated in soils is mainly the product of microbial digestions operating at the scale of individual colonies; synthesized humic compounds, on the other hand, may persist for several centuries. About half the organic matter in most soils is more than a thousand years old (Jenkinson & Rayner 1977). This particular resistance of major physical and chemical parameters give soils their capability to resist disturbances. If, however, a massive erosion affects soil at the scale of a habitat or ecosystem, services are immediately affected and natural restoration of processes at lower scales, from levels 1 to 5, will take a very long time, perhaps several to hundreds of years. Figure 8.4 illustrates the buffering capacity of soil as a hierarchy of interlocking cogs that represent processes operating at different scales, with the physical structures created (upper part), and the elements of biodiversity that operate them (lower part). Microbial food webs have a stability based on the diversity of the organisms they contain (De Ruiter et al. 1993). These food webs are found in soil micro- and meso-aggregates, which provide their habitats and organic resources. At the next scale up, the functional domains of ecosystem engineers support the microbial food webs by generating their own set of stable biogenic structures, which can endure beyond the life-span of the organism that created them. The ecosystem, therefore, has a diversity of organisms with the capacity to provide good soil structure. The system as a whole should have the ability to survive the temporary depletion or suppression of any one of its component organisms, but the destruction of structure—for example, by compaction or erosion—can be ameliorated only in the medium to long term by replacing the entire hierarchy of organisms and therefore the particular processes mediated by each. This may explain the time lag in many restoration activities. Resistance and resilience of ecological systems to environmental changes in the freshwater domain are largely related to scale. Systems and processes that operate over small scales are less resistant to disturbances (such as floods or pollution events), but may be more resilient (i.e., recover faster). Illustrating this, the vertical axis in Figure 8.1b could be considered to represent a persistence scale, with the particle and patch persisting for weeks to perhaps years, while the catchment and river basin persist for hundreds of thousands to millions of years. The magnitude and extent of the disturbance necessary to impact a system component is also related to spatial scale of the component: the larger the spatial scale, the greater the magnitude necessary to impact it (see Hildrew & Giller 1994 for further discussion). Once disturbed, however, recovery (i.e., resilience) is likely to be faster at the smaller scale (e.g., patch) than at the larger (catchment and beyond). The most dramatic disturbance effects in freshwater systems result from continuous or directed changes in water chemistry, caused by eutrophication and acidification, particularly in lake systems. This degradation process has two origins: (1) direct influx of pollutants from sewage plants and atmospheric deposition, and (2) transfers from terrestrial ecosystems as buffer structures (riparian forests and other nutrient conservation mechanisms) are impaired and nutrient leaking occurs. Long-term changes in stream morphology and habitats through water regulation, channelization, lowering of water tables, and introduction of exotic species are other processes that contribute (Giller & Malmqvist 1998; Malmqvist & Rundle 2002). The impacts operate largely at the levels of the tributary, catchment, and entire river basin scale. Point source pollution events, on the other hand, generally occur at the reach scale and act as short-term disturbances. Because of the flowing nature of rivers, they tend to be less susceptible than lakes to suffering long-term effects from such pollution events through the dilution and self-cleaning powers of the system (this is especially the case in response to organic pollution). The self-cleaning ability of rivers is driven to a large extent by the presence of benthic species and functional groups (such as microbes and macroinvertebrate detri-tivores) that break down organic matter. There is some evidence of a positive link between diversity and decomposition rates in rivers (Jonsson & Malmqvist 2000), and certainly for the presence of specific (key) species mediating the resilience (Jonsson et al 2002; see also Chapters 3 and 6, this volume). The use of wetlands as natural water treatment systems also testifies to this self-cleaning ability (Reed et al 1995; Ewel 1997). However, very extensive, concentrated, and/or continuous inputs of pollutants overcome even this innate resistance. Pollutants tend to accumulate in lakes, particularly in the sediments, and they show lower self-cleaning powers than other freshwater systems. The effects of various disturbances on ecosystem services in freshwater systems are considered in detail in Chapter 6. Recovery following disturbances varies with the nature, magnitude, and extent of the disturbance, but on the whole freshwater systems are quite resilient, and most studies indicate fairly rapid recovery, at least in river systems (Niemi et al. 1990). However, bioaccumulation and biomagnification of the more highly persistent pollutants (such as heavy metals) are well documented in freshwater systems (particularly in lakes and large rivers), and thus pose a longer-term and more serious threat to ecosystem services. The vulnerability of marine systems at different spatial scales is dealt with, in detail, by Snelgrove et al. (Chapter 7). Scale-dependent vulnerability varies with habitat (estuarine, offshore, deep-sea, cave and sub-sedimentary) and proximity to anthropogenic threat. Coastal and estuarine systems are more vulnerable than the deep seas. As with freshwater systems, resistance and resilience in the marine domain are largely related to scale. Smaller, contained systems such as estuaries and sub-sedimentary habitats are more vulnerable to disturbance but they are also more resilient; functions can be partially restored through active restoration projects and passive recruitment processes (Hawkins et al. 1999, 2002). The progressively increasing openness and connectivity of estuarine, offshore, and deep-sea systems allows for a degree of resilience at all scales, as most species can potentially recruit widely dispersed propagules or larvae from remote sources, and succession is usually rapid. Equally, the openness of most marine systems increases resistance to changes in water quality at medium to large scales due to dilution effects, but decreases resilience at larger scales where there is extensive and continuous input leading to eutrophication and the accumulation of toxic material, particularly in sediments. Vulnerability of marine systems varies with the scale of threat. Habitat loss occurs at small, localized scales often within coastal and estuarine areas through land reclamation for coastal development. This can scale up to become whole coastline effects (e.g., the coast of Europe from Belgium to Denmark). Larger-scale disruption of sediments can be caused by fishing (trawling) activities over large areas of the continental shelf. All habitats at all scales are affected by climate change, but there is a degree of resistance to larger-scale temperature changes as these are buffered by the water, particularly in offshore and deep-sea systems. Changes in temperature, wind, and weather patterns, as well as sea-level rise, have more impact in coastal and estuarine waters, particularly in intertidal and shallow water coastal margins, where there is less buffering capacity in the overlying water. Previously cited examples have shown the contribution of the associations of soil and sediment organisms and plants to the creation of structures and other buffering mechanisms at different scales, providing resistance and resilience for processes delivering ecosystem services. These self-organizing systems depend on a number of species that make different contributions in the provision of the service, and also have different responses to disturbances. Thus, it is essential to predict the effect of disturbances on the patterns of disassembly of such communities and the consequences for the delivery of services. A similar approach is also required to devise an efficient restoration of these communities and their associated buffering systems. To manage ecological services effectively and to understand the relationship between vulnerability of the service and biodiversity, we need a tool to evaluate the role of different species in providing resilience and resistance to perturbations. It is clear that not all species have the same impacts, nor do they present equivalent resistance or resilience capabilities when disturbances occur. We distinguish functional groups that have biological traits necessary to the performance of a given function (effect traits) from response groups of species that may resist stress or disturbance by a number of response traits (Lavorel et al. 1997; Diaz & Cabido 2001). The concept of functional groupings offers a means of classifying organisms according to their contribution to these processes. Table 8.1. Major functional groups of organisms found in soil and sediment environments.